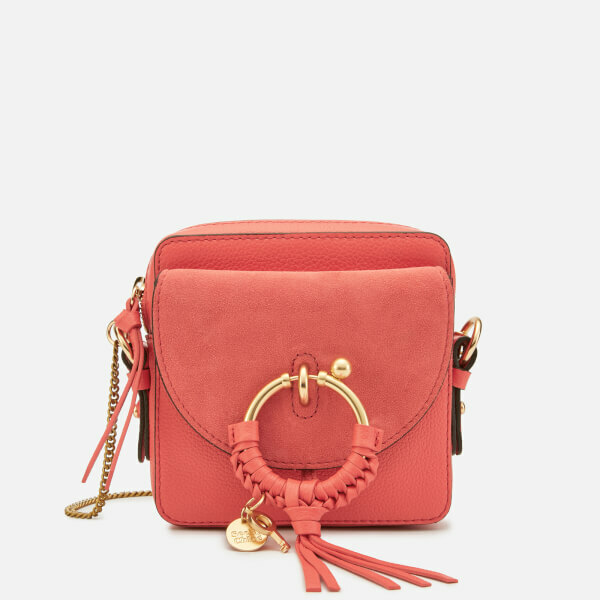 See By Chloé 'Joan' compact cross body bag. Pink grain leather and suede. Gold-tone ring detail to the front flap pocket. 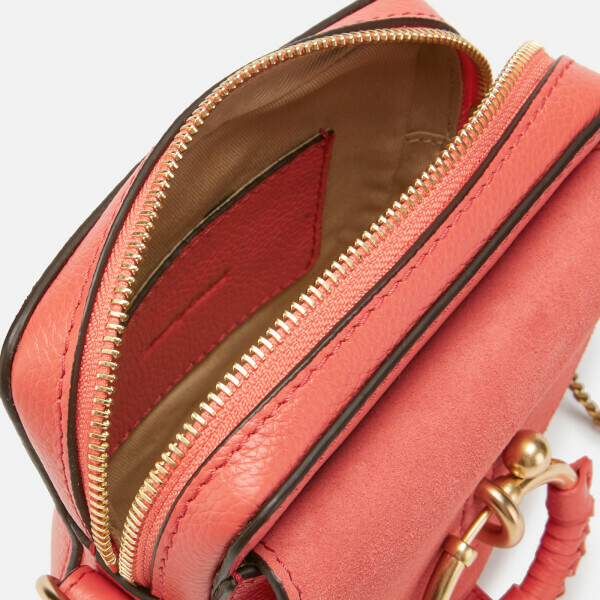 Zip fastened main pocket. 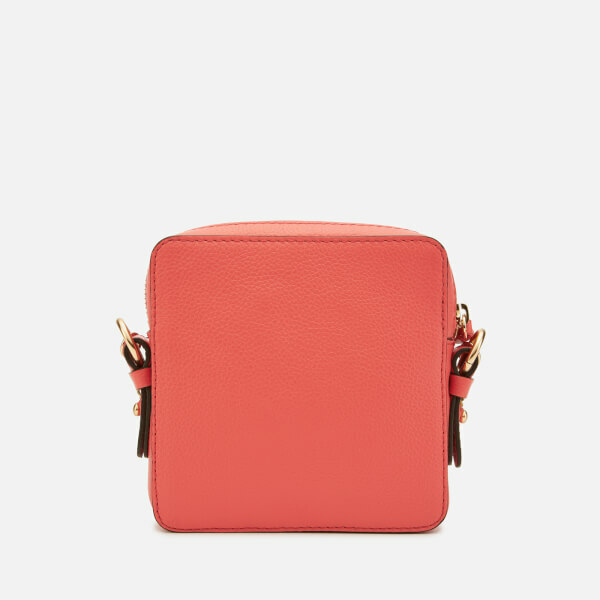 Internal card holder. 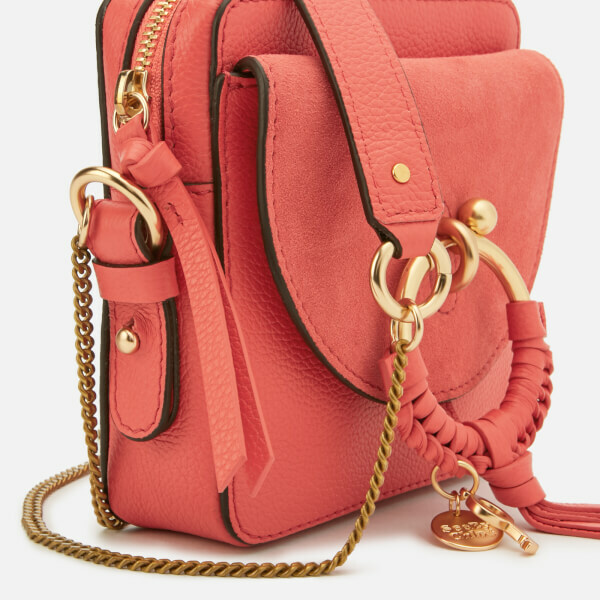 Chain and leather cross body strap. 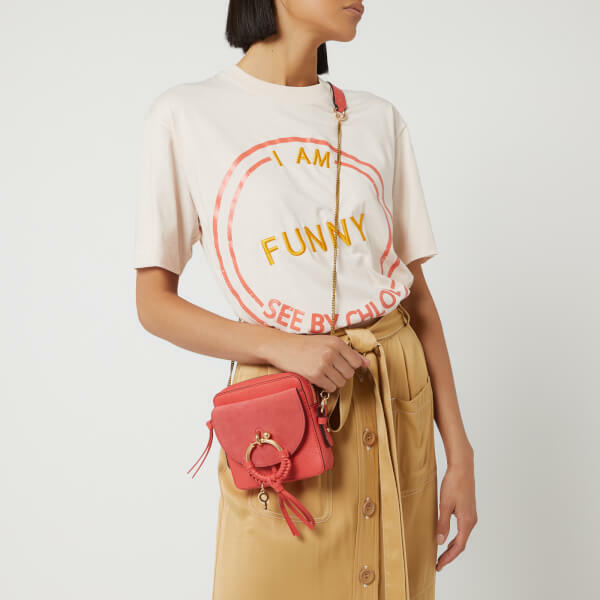 Branded dust bag. Exterior: Cow Leather. Lining: Cotton. Dimensions: H: 14cm x W: 14cm x D: 4cm. Strap Drop: 52cm.